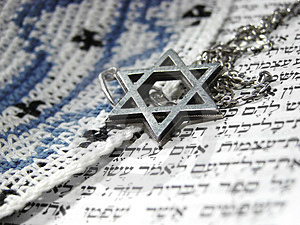 Judaism means to me the election of the seed of Abraham as the nation of God, the imposition upon this people of a series of commandments which express God’s will for the conduct of his people and the endless struggle by this people against this election, with the most disastrous consequences to itself as well as the rest of mankind. In spite of all this, the Divine election remains unaffected because it is an unconditional one, but subject to revocation. Lest all this sound inexcusably arrogant, I can only say that indeed it would be, were it the self-election of a people. As it is, it is a sign of God’s absolute sovereignty which is not bound by human conceptions of fairness. Israel’s election has meant that this people must observe a code of conduct far more difficult than that of any other people and that, when it does not live up to its election, it is visited by punishments so terrible that no human justice could ever warrant them. This entry was posted in Bible, Judaism, messianic, Messianic Jewish, Messianic Judaism and tagged Abraham, Michael Wyschogrod. Bookmark the permalink.